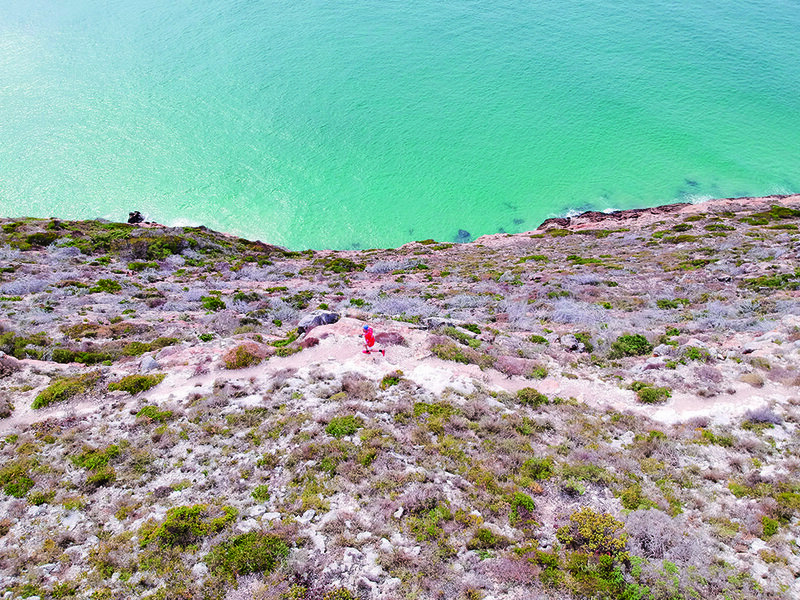 Trail runners and holiday makers, make sure you visit the Robberg Reserve for some memorable holiday runs! Any time of day, provided there isn’t heavy mist. The Reserve is popular among tourists, so it’s least busy during the early hours of the morning. But if you like to sleep late, wait until two hours before the Reserve closes, because tourists are advised not to visit after 3pm. Hard-packed singletrack; jagged rocks; thick, slate shelves; soft, white sand; boardwalks that can become slippery when wet; cambered beaches; grassy paths; giant boulders. Running in the Reserve isn’t difficult, in part because there’s no mud. When visibility is good, there’s no real danger of getting lost – just keep moving forward, and the circular route will return you to the start. You probably haven’t laced up your running shoes on the steps of the Voortrekker Monument, or run a few kilometres through the grounds of the Castle of Good Hope. But Robberg Nature Reserve is one national monument that appears to have been built with runners in mind. The 9.2km loop can be divided into two sections. Run north from Plettenberg Bay towards The Point, on sensational singletrack around 60 metres above the coastline, and it’s possible you’ll see a seal colony, whales, dolphins, hammerhead sharks, and a large variety of birds. Or run south, and a sharp descent will bring you down to sea level, where boulders lead towards The Island, a short beach run, and a kilometre or so of climbing. The Reserve is virtually on top of Plettenberg Bay. Enjoy a post-run beer at Cornuti (cornuti.co.za), or chill out at The Lookout Deck (lookout.co.za). Take the N2 highway towards Plettenberg Bay, and then the Piesang Valley turn-off. Follow this for 3km, until you reach Robberg Road. Continue for another 4km towards Plettenberg Bay Airport. Turn left at the sign for Robberg, and continue until you reach the entrance gate (entrance fee: R40 per adult). 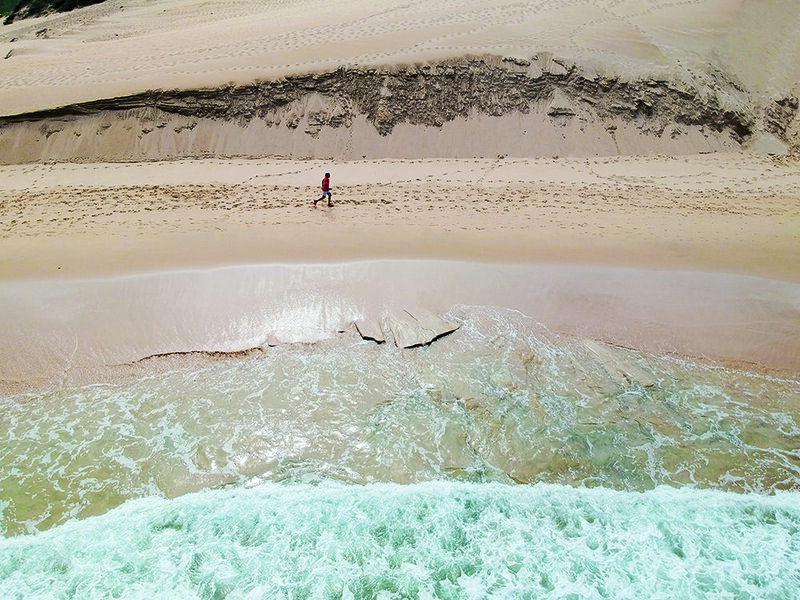 If you find it hard going after the first kilometre or so on your way to The Point, you can run the loop around Witsand Dune instead, which will effectively cut your overall distance down to 5.5km. The Island features a large, steep boardwalk, and when the tide is low, the super-adventurous can cool off in rock pools. For more travel inspiration, visit our Travel section.